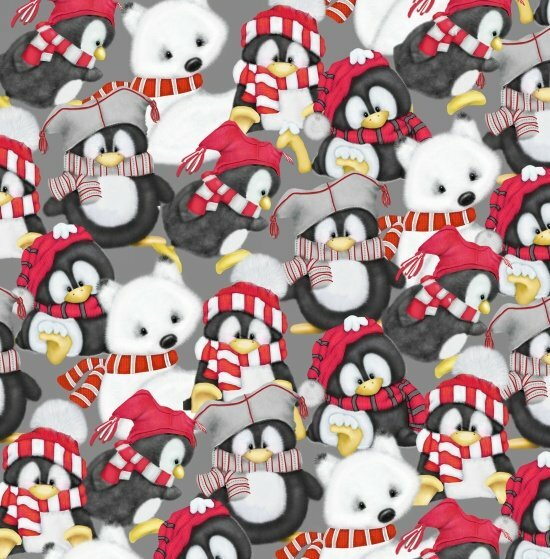 Artic Antics flannel packed animals faces features baby penguins, polar bears and other artic animals in red, white, gray and black. Designed by Shelly Comiskey for Henry Glass. Designed by Shelly Comiskey for Henry Glass. 100% cotton 43"/44" wide.